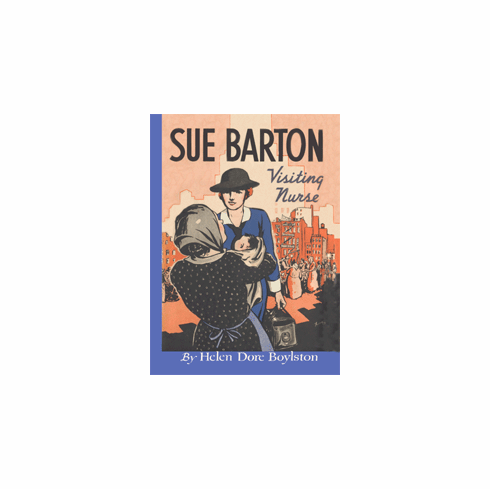 Having finished her course in a metropolitan hospital, Sue moves on to New York where she and her friend Kit are fortunate enough to secure positions with the Visiting Nurse Service of the Henry Street Settlement - a service made famous by Lillian Wald. The city is new to them and the test of their skill is absorbing. Their assignments take them to the most colorful slums in the world. They work with newborn babies and obstinate old people, with immigrants who can hardly speak English, and with people in Harlem. Their uniforms are their passports wherever they go, but more than once they have to rely on the friendly assistance of Sergeant O'Day. The girls find quarters for themselves in a tiny frame house in Greenwich Village, and at the outset their days are so crowded that they have almost no time for themselves. Gradually the suspicion dawns upon them that either their house is haunted or someone else is living in it when they are away. As if this were not enough to worry about, along comes Dr. Bill Barry, who was an intern when Sue was in training, and now urges her to step out of the ranks and marry him. Sue ultimately has to make a choice between the work she loves and the man who loves her.